Relocate Homes are delighted to offer this period mid terraced family home located a short distance to the town centre. The property is in need of some modernisation and offers an unexpected amount of accommodation. 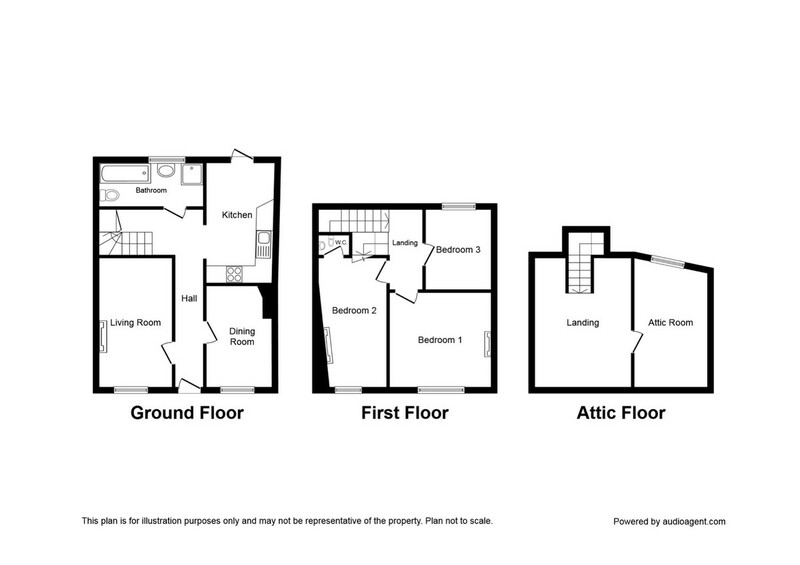 To the ground floor is an entrance hall with doors leading to lounge, dining room, kitchen and bathroom/ shower room/ WC. To the first floor is a generous master bedroom and two further double bedrooms; one with a separate WC. To the second floor, stairs lead to a large landing with storage and a good sized attic space with a view to the rear aspect and surrounding area. Outside is a small enclosed courtyard garden to the front with a path leading to the main entrance. To the rear is a larger than average garden with patio and lawn areas and gated access to the rear. This is an ideal investment opportunity so call now to avoid disappointment!